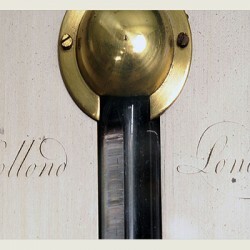 Categories: Clocks & Barometers, Dolland, Sold. 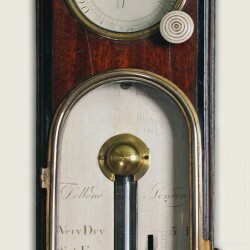 The case with swan neck pediment having a hygrometer, a scale registering from stormy to very dry, and numbered from 27 to 31 above a thermometer with enclosed cistern below. 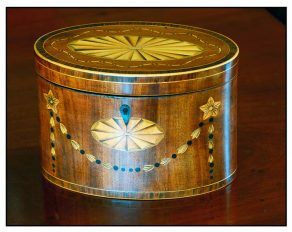 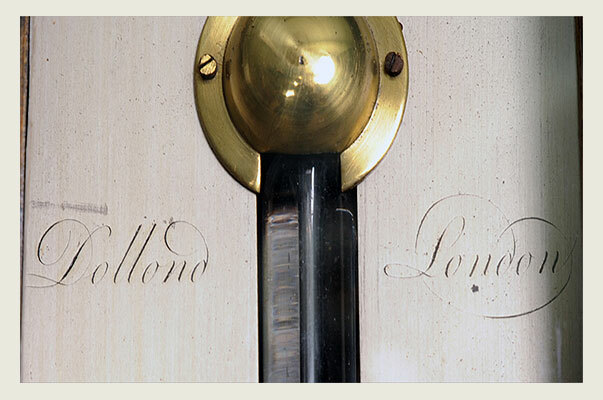 Peter Dolland 1730-1820, one of the finest of all barometer makers, was the eldest son of John Dolland, a Huguenot silk weaver, became the most eminent optical instrument maker of the late18th century. 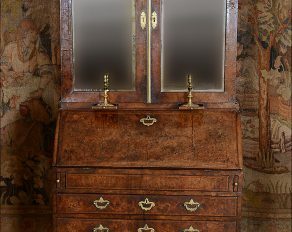 His descendants continued to develop the business, which still continues today as Dolland and Aitcheson.